NLP Practitioner Training is one of the most important steps you can make in the way of personal development because, during the seven modules, it offers you the possibility to integrate the most effective NLP tools, create a personal experience and learn how to apply NLP in various areas of life. The focus of the training is on the application of NLP tools in the process of behavior change, achieving personal and professional goals and improving communication. Skills and processes that you learn about in training can help you identify what motivates people around you and how to best convey a message to another person. Since the primary goal of our training is application of NLP tools in the business environment, one of the results that you can expect is accomplishing a higher level of consensus with business partners, associates and customers. The duration of the training is 18 training days or 130 hours. a person who wants to be successful and permanently improve the professional effectiveness. Regardless of whether the NLP is completely new to you or you have already heard of it, this training will change your outlook on life and will help you to become a better version of yourself. This training is a journey from which you’ll be return equipped with the basic skills and most effective NLP techniques that you will be able to apply in professional and personal development. 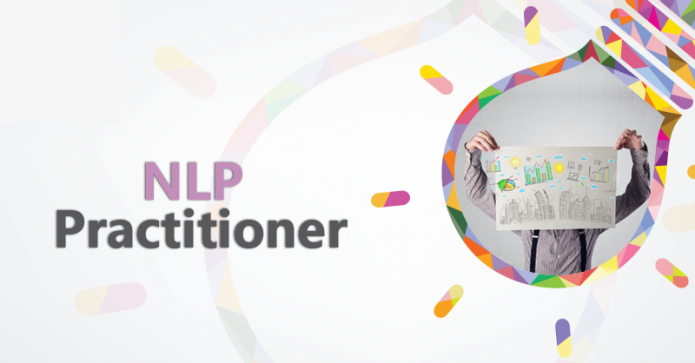 The first training module will introduce you to the basic concepts of NLP and answer the question of what makes NLP both art and science of success. You will learn about the pillars which the success of NLP is based on and how focus on the goal, the power of observation and flexibility lead to faster and easier achievement of the desired results. You will work on developing the skills of rapid establishment of consensus with different people, as well as identifying and defining personal and professional objectives. In this module you will learn how to make linguistic patterns your ally and how to inspire the people around you in a most efficient way – you will learn how to successfully apply Milton’s speech patterns and how to achieve a high level of consensus with with business partners, associates and customers. In addition to Milton’s model, during this module you will learn NLP communication model and the model of change in the level of abstraction (chunking). The focus of the application of these tools is in negotiation, sales, staff motivation and public speaking. The third module will deal with communication models originating from the work of Virginia Satir and Fritz Perls. You will learn how to ask the most precise question in any given situation and bring into question the beliefs that stand in the way of achieving your goals. NLP communication model and metamodel will become your allies and will help you understand the deep structure of communication. In addition to the metamodel, during this module we will also cover reframing. Change is the basis of growth and development and therefore a central part of our training is devoted to it. 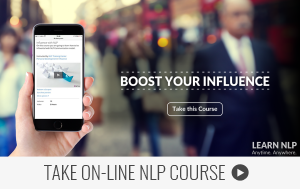 During this module you will learn the basic NLP techniques that you can use when working on behavior change. Through strengthening internal representation of the desired outcome of a future event, you will work on activating your own resources and build the desired state. In addition to techniques for initiating changes, during this module you will also learn basic metaprograms. You will analyze the way you can adapt the style of presentation, management or sales depending on who is in front of you and how to motivate associates whose “glass is half full”, and those who see the glass as “half empty”. One of the biggest challenges when working on changes is maintaining the desired change over a longer period of time. Fifth module is dedicated to working with submodalities and anchors, parts of NLP that are crucial in generating long-term changes. In this module you will learn how to generate and maintain the strong resource state in every situation, how to increase the emotional attitude towards situations that are positive for you and how to reduce it when it comes to negative situations. The sixth training module is devoted to work on projects and long-term goals. In this module you will learn how to split your personal or business project into elements that will boost your motivation and include other people who are part of your system. Through the concept of the work on the timeline and implementation of neurological levels, your projects will get added sparkle, and the experience created through the use of these models will raise your motivation. Our goals, projects and visions typically involve other people. Often the key to our success is tied to the success of our associates, clients or friends. The last module of our training is dedicated to the implementation of the creative strategies when working on projects, working with metaphors and creating a personal vision. In addition to these topics, during the seventh module we will review the overall curriculum of “NLP Practitioner” training and will prepare you for certification.